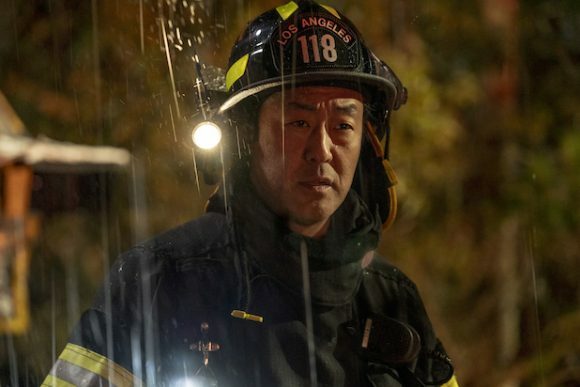 Three’s mid-season finale of emergency services drama 9-1-1 won its slot in all the core commercial demographics on Monday night. It averaged 4.1% of the network’s 25-54 audience compared to 3.0% for TVNZ 1’s Take Two and TVNZ 2’s Australian Survivor. 9-1-1 averaged 3.2% of 18-49s (vs 2.6% for T2 and 2.8% for AS) and 3.2% of 18-39s (vs 1.9% for T2 and 2.4% for AS). In all the key demos, it improved sharply on lead-in House Rules and nearly doubled its viewership. HR was dwarfed by the competition, drawing less than half the viewership of TVNZ 2’s Project Runway NZ and TVZ 1’s Highway Cops and Border Security. The latter won its slot in the 18-49 and 25-54 demos but Runway dominated otherwise. HR’s numbers were better on Tuesday but it still lost to TVNZ 1’s Outback Truckers and TVNZ 2’s The Great Kiwi Bake Off. A repeat of Lost & Found was beaten by 2’s AS, which seesawed in the 25-54 demo with Sugar Farm but won in the other core demos. At 9.30, 2’s Hotel Hell repeat won in the 18-39 and household shopper demos but 1’s 20/20 was tops with 25-54s and 18-49s. 1 News had a big lead over Newshub Live in all the major demos except 18-39 on Monday but the race was much closer on Tuesday; the battle between their 7.00 kin roughly mirrored this. TVNZ 1 won Monday and Tuesday nights with 25-54s but 2 topped the other demos. Hi Phil. When is 9-1-1 back from its mid season break? Not until at least March, Rosco — that’s when it resumes in the US.